The 6th Matriculation Ceremony of Federal University Lokoja (FULokoja) was held on 10th April, 2018 at the University Auditorium, Adankolo Campus, Lokoja. A total number of 1,606 students were matriculated into the 11 undergraduate programmes currently being run in the University. According to the school website, in her speech, the Vice-Chancellor, Professor Angela Freeman Miri congratulated the matriculating students, saying that they should count themselves very lucky to be among the few admitted as many candidates sought for admission into the University. She said that, “Securing admission into any University in Nigeria nowadays calls for celebration considering the millions of candidates who earnestly yearn for University education and who have tried on several occasions to gain entry but failed”. The Vice-Chancellor also took ample time to advise the matriculating students to work hard in acquiring a first degree, avoid distractions of various sorts, shun bad company and be good ambassadors of their respective families, the State and the Nation at large. She urged them to obey the School rules and regulations as contravention of any of the rules will be met with stiff penalties. Professor Miri used the opportunity to appreciate members of staff of the University, particularly those who planned the event on behalf of the Management, parents and guardians of the matriculating students who graced the occasion. Highlights of the occasion include matriculation procession led by the Deputy Registrar and Academic Secretary, Mrs. Omoayena Duro-Bello, administering of Oath of Allegiance by the Vice-Chancellor and Vote of thanks ably delivered by the Deputy Vice-Chancellor, Professor Makanjuola Osagbemi. 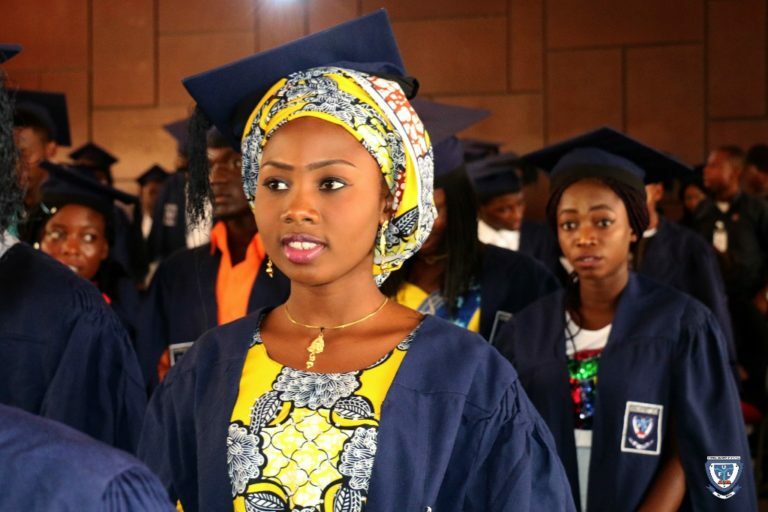 Among the massive crowd that witnessed the occasion were members of the University Management, Deans of Faculties, Heads of Departments, Directors and Deputy Directors, parents, guardians, friends and well-wishers of the matriculating students.